Although at the end of the Middle Ages China was an indisputable great maritime power – at the time of Zheng He‘s expeditions – in the nineteenth century, Westerners had no trouble imposing their trading posts and exploiting vast coastal territories. Chinese only naval forces consisited of junks armed with medieval-style muzzle-loading cannons more noisy than effective, light years from the steel rifled guns of the Westerners. Several naval skirmishes saw the Europeans victorious with a wide margin. From 1865, however, and with the help of the Americans and the French, the Foochow and Kiangnan shipyards were able to deliver the first Chinese armed steamers. From 1875, the Empress authorized the establishment of a naval budget for the maritime provinces, and minister Li Hung Chang was the first to set up a modern navy in 1880. In 1894 took place his first major confrontation, against the Japanese fleet at Yalu. Although defeated, the behavior of the Chinese crews was exemplary and encouraging for the future. 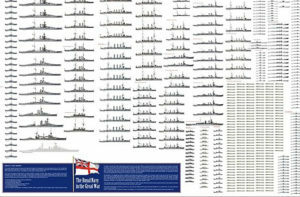 In 1898, an important naval plan was put in place including 5 cruisers and many light units. However, the general condition of the ships after 1895 had deteriorated: Unrevised machines, lack of maintenance of the hulls and structures, were the direct result of the corruption and disinterest of provincial governors. 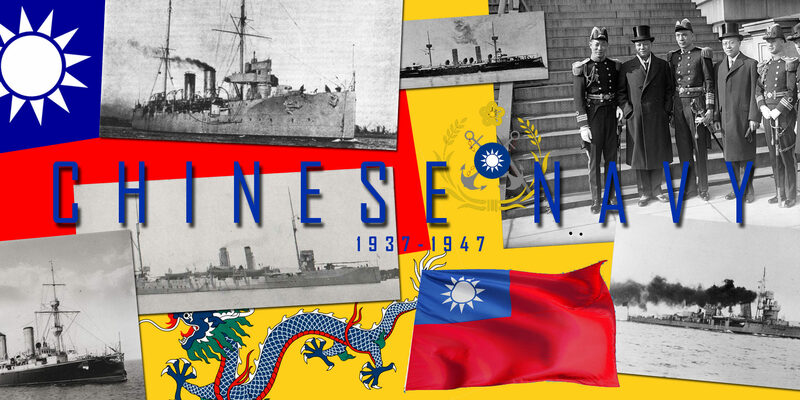 As such, the Chinese fleet was at the beginning of the century organized into four fleets: the North Fleet, based in Chihli, the southern fleet, based in Shanghai and Nanyang, that of Foochow (Fukien, Chekiang), and that of Canton (Kwantung, Kwangsi). 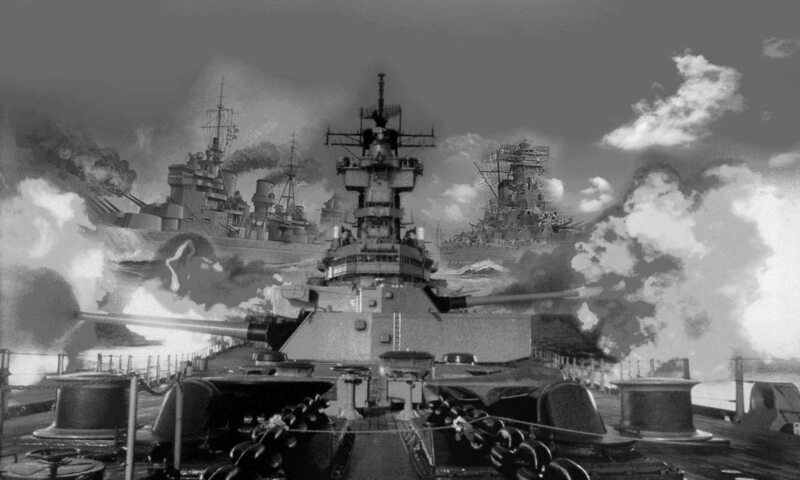 From 1908, after the Boxer War and the chaos that ensued, a vast rearmament and reorganization plan was orchestrated, with the creation of three fleets (North, South and Central), each organized as a squadron comprising a projected 14,000 tons battleship, and 12 to 20 cruisers of different tonnages in four classes. Nevertheless, the command of these three fleets remained local, and the commanders of the latter, who could possibly “cooperate” together, had to answer only in front of the imperial court, not very aware of maritime things. In 1909, a naval headquarters office was created. Naval advisers went abroad to study the needs of the fleet. they came back with a first plan “reduced” over three years, including three modern training cruisers, 8 gunboats, a destroyer and a transport. A second 7-year plan included 8 battleships, 20 cruisers, 30 destroyers and torpedo boats, plus dozens of river gunboats. In 1911, it was the beginning of the Chinese revolution. The starting point was the mutiny of the troops at Wushang on October 10, followed by an uprising that ended the multi-secular reign of the Manchu dynasty. The young emperor Pu-Yi was forced to abdicate in 1912 and was kept in his palace until his majority. The first president of the new regime was Marshal Yuan Shih-Kai. 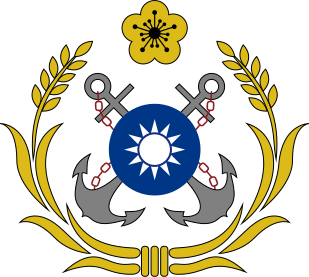 The commander of the revolutionary naval forces, Huang Chung Ying, became the minister of the navy. But the Chinese Republic had empty pockets after two years of chaos and struggle, and the ambitious naval plan of 1909 was canceled. The government choose instead to stick with the first 3-year program. Ships under construction abroad were even offered for sale, but only Greece was interested in the future Hellé. But while the president was multiplying unrealistic programs, the various fleets were falling into the hands of local warlords. Th Chinese fleet existed only on paper in 1914. In August 1917, China declared war on the central empires. She took this opportunity to capture German and Austrian commercial ships and modernize the aging trade fleet. It had, however, taken no part in the attack on Tsing Tao, the only German Pacific port, leaving the naval forces of Japan and the Commonwealth to hunt Von Spee’s squadron. Subsequently, the escape of the new president, Sun Yat Sen, caused the return of Canton to the European forces to protect it from nationalization. European warships thus were anchored there from 1924, and until the Japanese invasion in 1937. 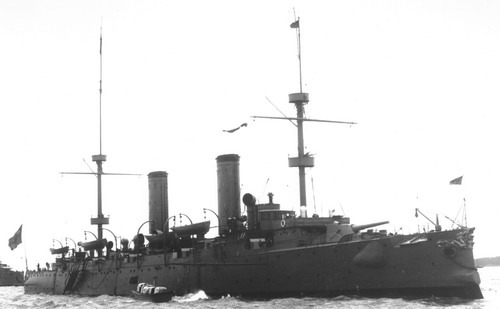 No Battleship: The two 1885 Ting Yuen class barbette ironclads has been captured or destroyed during the Battle of Yalu in 1895. All 16,000-ton pre-dreadnought project were never completed. 18 Cruisers: 2 class Chao Ho (1911), Chao Wu (1879), 4 class Fu Po (1870-76), Ch’en Chang (1874), Pao Min (1885), King Ching (1886), 2 class Nan T’an, 2 class Tung Chi (1895), 3 class Hai Yung (1897), and the Hai chi (1898). The oldest are rather obsolete and in poor state or disrepairs and neglect. On paper an imposing force, but the general appealing state of each ship, often unable to sail effectively, combined with the lack of training of the crew and general dispersion of all these forces relativized this strength. In addition, 4 cruisers were ordered in 1915 at CNT Montfalcone in Austria-Hungary, but the orders were later canceled and the ships broken up. Class Chang Feng (1911), built in Germany at Schichau. Armoured gunboats: Chin Ou (1875) about to be reformed in 1914. High seas gunboats: 2 Class Chiang Yuan gunboats (1904), 6 Class Chu gunboats (1906), but also the Kuan Chuan, An feng and Lien Ching. Riverine gunboats: 2 class chiang Hsi (1911), 4 class Chiang Kung, 2 class Yung Hsian, Wu Feng. Older (1867-94): Sui ching, 2 An Lan class, Tse Hai, 2 Ching Yuan class, Tse Tien, Si Chew, Hai Ching Chang, Hai Tung Hung, 4 class Kuang Yuan, 2 class Kuang Wu, 2 class Kuang Chin, and 2 Kuang Ching class. -Torpedo gunboats Fei Ying (1895), Kuang Ting (1891), 2 class Dog Wai (1899). -Torpedo boats: 4 class Hu Peng (1906), 2 class Lei Lung (1883), 9 class Lei Chien (1885), 2 class Chang (1895), 2 class Su (1895). Despite the absence of military operations against the central empires, the fleet was reinforced with some gunboats: 2 class Chiang Hsi (high seas), 3 class Chung Chung, Hai Yen, 2 class Hai Fu, 2 class Hai Hung, and 2 Hai Ho class.